The countdown has begun: on the 22nd of October in Evian the Global Bottled Water Congress organized by Zenith Global, will start! 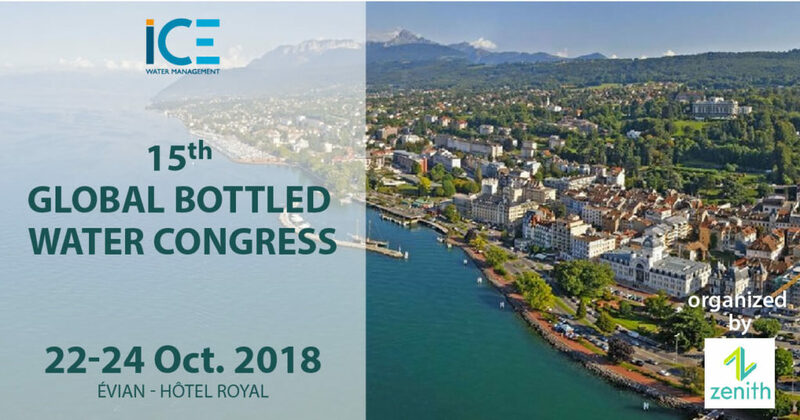 The countdown has begun: on the 22nd of October in Evian the Global Bottled Water Congress organized by Zenith Global, with the help of Maxine Harle and Alice Schofield, will start! This 3 day event designed for industry leaders, suppliers, and customers is the occasion for numerous conferences, providing detailed market insights and exploring current market trends. Our company will be present at the Hôtel Royal of Evian with a display in the delegate networking area. On Monday we’ll host a factory tour with more than 30 delegates to visit ICE. Evangelos Trogadis, ICE QHSE Director will present our understanding of trends related to Data consolidation and aggregation. More information about the Global Bottled Water Congress on Zenith website. Zenith Global is one of our partners.